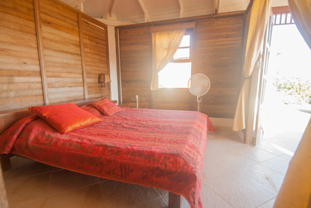 Statia lodge is located just outside the city of Oranjestad in a beautiful setting. 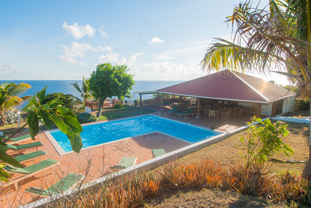 Statia Lodge offers you ten wooden bungalows, a pool house and a beautiful freshwater swimming pool with a fantastic sea view. There are no restaurant facilities available but each bungalow has a kitchenette. A 100cc scooter is included with all eight ‘Hibiscus’ bungalows and two 100cc scooters or a car for the two ‘Boungainvilliers’ bungalows (driving licence compulsory). It takes around 10 to 15 minutes to drive to the Dive Center. Breakfast is included except on Sundays and holidays. Wifi at the pool house. Contact us for more information.